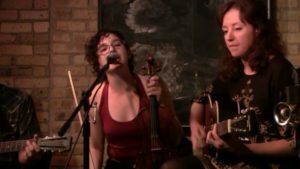 Bringing a little bit of the Big Easy to the Brew City, Sweet Sheiks is a Milwaukee based band inspired by music of the teens, twenties, and thirties. With a mix of early jazz, vintage pop tunes, delta blues and originals, they shake the dust off the antiquated sound they’ve revived. This group is making its first Madison Jazz Society appearance and will close out the MJS’ 35th spring concert series. $25.00 general/$20.00 MJS members/Under 18 free.